Hyundai has joined the discounting brigade for December, in order to clear 2017 car stocks. There are hefty discounts on almost all popular Hyundai cars and SUVs. Here’s a quick walkthrough. The lowest priced Hyundai – the Eon hatchback – is now being offered with a 60,000 rupee discount, which is almost 20 % of the car’s ex-showroom price. The offer is divided into a 50,000 rupee cash discount component and a 10,000 rupee exchange bonus. The Eon is available with 2 engine options – an 814 cc petrol with 55 Bhp and 75 Nm, and a 1 liter petrol with 68 Bhp-94 Nm. Both engine get 5 speed manual transmissions. Prices start from Rs. 3.29 lakhs. One of the best-selling Hyundai cars that’s even beating the Swift, the Grand i10 hatchback has discounts of up to a massive 95,000 rupees. The petrol powered model gets a 75,000 rupee discount (50,000 cash + 25,000 exchange bonus) while the diesel powered model gets an 85,000 rupee discount (50,000 cash + 35,000 exchange bonus). Variants with the audio-video navigation (AVN) option get an additional 10,000 rupees off, taking the total to 95,000 rupees. Hard negotiation should easily push these discounts to Rs. 1 lakh. 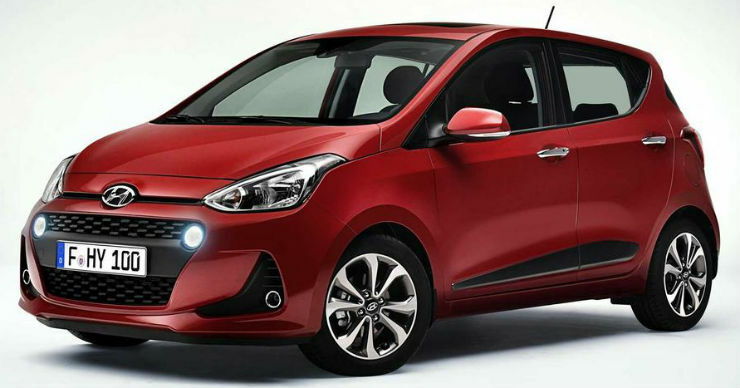 The Grand i10 is sold with 1.2 liter petrol (81 Bhp-114 Nm) and 1.1 liter turbo diesel (74 Bhp-190 Nm) engines. 5 speed manual transmissions are standard while a 4 speed automatic is an optional extra on the petrol. Prices start from Rs. 4.59 lakhs. The Xcent compact sedan shares its engines and gearboxes with the Grand i10, and even much of the form factor and features except for a sedan-style design. However, discounts offered on the petrol and diesel variants of the car is much lower, at Rs. 65,000 (Rs. 30,000 cash + Rs. 25,000 exchange bonus + Rs. 10,000 on AVN variants). Prices of the Xcent start from Rs. 5.38 lakhs. Another extremely popular Hyundai car – the i20 Elite premium hatchback – is now selling at a sizeable 60,000 rupee discount (Rs. 30,000 cash + Rs. 20,000 exchange bonus + Rs. 10,000 off on AVN models). The car is available with three drivetrain combinations – 1.2 liter petrol-5 speed manual, 1.4 liter petrol-4 speed automatic and a 1.4 liter turbo diesel-6 speed manual. The 1.2 liter motor makes 81 Bhp-114 Nm while the 1.4 liter petrol pushes out 99 Bhp-132 Nm. The diesel engine is good for 89 Bhp-220 Nm. Prices of this Baleno competitor start from Rs. 5.29 lakhs. The Elantra premium D-Segment sedan has wowed a lot of buyers with its Audi-esque looks. It’s now selling at a discount of Rs. 70,000 (in the form of an exchange bonus). The luxurious car is sold with 2 liter petrol (150 Bhp-192 Nm) and 1.6 liter turbo diesel (126 Bhp-260 Nm) engine options. 6 speed manual and automatic gearboxes are on offer. Prices start from Rs. 12.99 lakhs. The range-topping Hyundai luxury SUV – Tucson – has the same discount as the Elantra in the form of a Rs. 70,000 exchange bonus. The Jeep Compass-rival gets 2 engine options – a 2 liter petrol engine with 153 Bhp-192 Nm, and a 2 liter turbo diesel engine with 182 Bhp-400 Nm. Both engines get 6 speed manual and automatic gearbox options. The diesel motor is also offered with a all-wheel drive option. 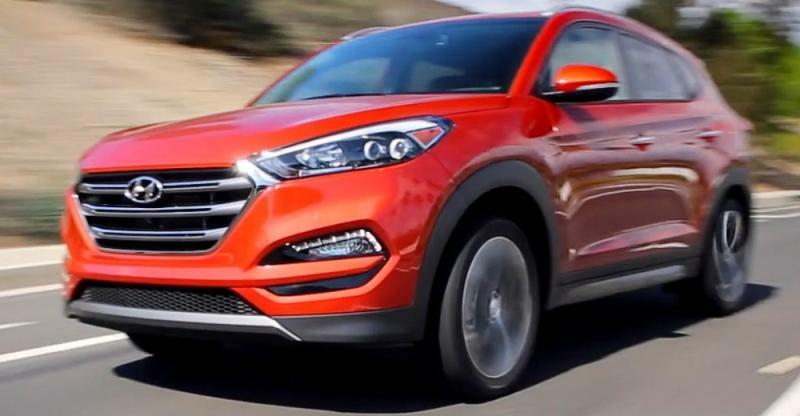 Prices of the 5-seat Tucson start from Rs. 18 lakhs.